What is SIBO? It stands for small intestine bacterial overgrowth and causes gas and bloating after eating. Best SIBO treatment: Combine herbal remedies with a SIBO diet. An increasingly recognized problem, SIBO occurs when bacteria that normally occupy the colon migrate to the small intestine, feast on carbohydrates, and multiply. This causes inflammation in the gut as well as a diverse range of symptoms all over the body, most commonly in the digestive tract. This article focuses on how to cure SIBO and natural treatment for SIBO. Fortunately, natural SIBO treatment is available that is just as effective (or more) than a conventional SIBO cure with antibiotics, according to the results of a new study. Physicians at John’s Hopkins and the University of Pittsburgh showed that natural treatment for SIBO using herbal antimicrobial supplements was as effective as rifaximin, one of the conventional SIBO antibiotics. The products were specifically chosen because they contained antimicrobial herbs, such as oil of oregano, thyme, berberine extracts, and wormwood, shown to provide broad-spectrum coverage against the types of bacteria most commonly involved in SIBO. Of the patients who received herbal therapy, 46 percent showed no evidence of SIBO on follow up testing compared to 34 percent of rifaximin users. Those using a natural SIBO treatment were significantly more likely to test negative for SIBO at follow up than those taking rifaximin. The participants who did not improve on the rifaximin were then prescribed either one of the herbal protocols or triple antibiotics (clindamycin, metronidazole, neomycin) for four additional weeks. Of the 31.8 percent of rifaximin non-responders that then took the herbal therapy, 57.1 percent tested negative for SIBO compared to 60% of those taking the triple antibiotic therapy. Adverse effects reported among those taking rifaximin included anaphylaxis, hives, diarrhea, and Clostridium difficile, while only one case of diarrhea and no other side effects were reported in the herbal therapy group. “Herbal therapies are at least as effective as rifaximin for resolution of SIBO …” concluded the study authors. Naturopathic doctors and integrative physicians often advise that patients follow a SIBO diet along with antimicrobial therapy for best results. A SIBO diet is primarily a low-carbohydrate diet, since bacteria use carbohydrates as their energy source and ferment them to gas. The SIBO diet can directly reduce symptoms by decreasing the amount of gas produced and possibly by reducing the overall bacterial load as the food supply shrinks. The SIBO diet is a combination of either the specific carbohydrate diet (SCD) or the gut and psychology syndrome diet (GAPS) with parts of the low FODMAP diet (the FODMAP fruit and vegetable recommendations). With both the SCD and GAPS diets, all grains, starchy vegetables, lactose, sweeteners other than honey, and beans are eliminated. Eliminating these normally well-absorbed carbohydrates is essential in SIBO because these polysaccharide and disaccharide sources feed the inappropriate bacteria in the small intestine, creating symptoms and worsening the problem. The exact protocols for the SCD and GAPS diets can be found in the links above. By further eliminating the highly fermentable fruits and vegetables recommended in the low FODMAP diet, even more of the bacteria’s food source is reduced. The low FODMAP diet is an irritable bowel syndrome treatment diet and was not specifically designed for SIBO; therefore, it does not eliminate all polysaccharide and disaccharide sources such as grains, starch, starchy vegetables, and sucrose unless combined with either the SCD or the GAPS diet. Use the FODMAP link above to find the list of fruits and vegetables to avoid. For the best results, follow the SIBO diet for three to four months. Most of the bacterial overgrowth is eliminated by week four, but practitioners have found that following the diet for another three months is usually necessary for more permanent eradication. Combine the diet with a natural SIBO treatment of either the Metagenics or Biotics Research supplements for SIBO for a wonderful natural option. What natural SIBO treatment worked for you? Have you tried a SIBO diet? To help your fellow readers with treating SIBO, please share your experience in the “Comments” section below. Originally published in 2014, this blog is regularly updated. 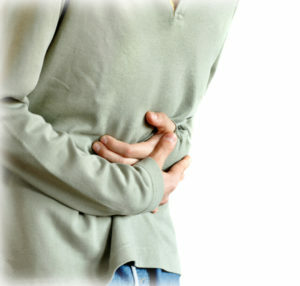 abdominal pain, antibiotic therapy, antibiotics, antimicrobial, antimicrobial supplements, bacteria, bloating, bowel syndrome, clostridium difficile, cure sibo, diarrhea, diet, digestive, digestive tract, fodmap, food, health, herbal antimicrobials, herbal therapy, hives, honey, how to cure sibo, how to treat sibo, how to treat sibo naturally, inflammation, integrative, integrative physicians, irritable bowel, irritable bowel syndrome, irritable bowel syndrome treatment, low carbohydrate diet, natural sibo treatment, natural treatment, natural treatment for, natural treatment for sibo, naturopathic, naturopathic doctors, oil of oregano, pain, sibo, sibo antibiotics, sibo cure, sibo diet, SIBO symptoms, sibo treatment, side effects, supplements, supplements for sibo, thyme, treat sibo naturally, vegetables. What happened to the 54% of original herbal patients who didn’t clear their SIBO with herbs? What was their next treatment? I found Atrantil to be great. Herbal developed by an MD. All these post about HERBAL MEDICINE and spell casters are scammers and fake trying to collect money all in the name of HERPES cure and when you contact them, they will be asking for your name, pictures, country, phone number, occupation and when you have given them all the information, they will be asking for money. I was once suffering from GENETIC HERPES and i spent a lot of money going from one herbal doctor to another but they all scam and take my money away until i came in contact with this powerful one called Dr.Oboh who cured me from Herpes with his herbal medication , after doctor Oboh has finished preparing the herbal medicine, he asked me to send him my residential address, so that he will send the herbal medicine to via D.H.L so i did. 2days later, i receiveed the herbal medicine and i had to follow the instructions he gave to me on how i will apply it. 2weeks later i went to hospital for test and according to the test done by the Medical doctor philip it stated that i was cured. So viewers be wise and beware of fake spell casters and fake herbal doctors, they are all over the internet trying to steal from poor people. I will drop you the email of this powerful herbal doctor just in case you wish to contact him for help. drobohtraditionalhome@gmail.com. Hi, has anyone here cured their SIBO with natural supplements and diet? Thank you. My grandma has Parkinson’s disease, she is about 75 years old it was detected 7 years ago. it was very difficult to live for her, because of stiff muscles she can’t even move. L-dopa and carbidopa medicines are given, but won”t give much relief. She can”t eat food and the skin is damaging forming ganglia.my friend introduced me to perfecthealthherbalmedicine,he said perfecthealthherbalmedicine cure his father of Parkinson and COPD,so i decided to give it a try,so i emailed them,they replied and ask for my grandma details,which i sent to them via email:perfecthealthherbalmedicine AT gmail DOT com,website:www DOT perfecthealthherbal DOT weebly DOT com. then i purchased the herbal medicine for Parkinson diseases,after purchasing,the herbal medicine was shipped to my address,which i received within 2 days,when i received the herbal medicine i called them,and they told me how to use it,after 5 weeks of usage my grandma stiff muscles was released and she started walking,eat properly too,i was like a miracle,and our family doctor confirmed my grandma is Parkinson free,am so happy and God will bless perfecthealthherbalmedicinehome for their great work.. Awesome article. Herbal antibiotics are definitely a great option for people with SIBO as I myself have had success with them. It also really just depends on the bacteria that is specific in each persons gut. I’m excited that there is now a few studies showing that herbal antibiotics are just as effective as normal antibiotics. If anyone wants to check out a resource I created for the top information on SIBO check out my site which is called SIBO Survivor. My mother was hospitalized for triple pneumonia and was diagnosed at that time with COPD. She had been a smoker since she was 16 years old and was about 70 years at diagnosis, so she had been smoking for about 55 years. We were so well educated about the damage smoking had done to her lungs,and we know there is no cure to COPD ,thank GOD for leading us to GOOD HEALTH HERBS HOME,please don’t ignore this post is real, Dr George(Good health herbs home) is a real herbal Doctor ,he cured my mother of COPD,she was totally cured within 5 weeks of usage. Dr George (Good health herbs home) herbal medicine for COPD has no side effect,it works like a miracle,please viewers out there that have any deadly disease,please don’t fail contact Dr George via ( goodhealthherbshome com) . My German Shepherd dog suffered from SIBO, and had to take antibiotics everyday, which were not agreeing with her, to prevent it getting really bad, then my vet recommended Kefir (the milk variety), she let me have some of her grains and I started to make it for her (and us!) and the best news the SIBO problem went away in days and has never come back, I make her Kefir every day! There is lots of information about Kefir on the internet and even youtube videos it only takes about 10 minutes a day to do, (you only need milk and grains), and thank goodness it solved my dogs problem. Hope this maybe of help to someone. Kefir basically puts good bacteria back and keeps it there, but all NATURAL. after moving across country and being tested by two separate allergists who said I didn’t have allergies, but chronic obstructive pulmonary disease (COPD) my allergy shots stopped. One and a half years ago I started sweating profusely, worse than during menopause. Water literally dripped off my face. Gradually it started to disappear. The less the sweating became, the more I became breathless until I was gasping for air walking across a room. My lungs started to fill up with mucus which eventually turned into pneumonia. I lost touch with reality.I started on Health Herbal Clinic COPD Herbal formula treatment in May 2017, i read alot of positive reviews on their success rate treating COPD disease through their Herbal formula and i immediately started on the treatment. Just 7 weeks into the Herbal formula treatment I had great improvements with MY breething ,I am unbelievably back on my feet again, this is a breakthrough for all COPD Patients, visit Health Herbal Clinic official website www. healthherbalclinic. net or email info@ healthherbalclinic. net. I cured my SIBO by following The Whole 30 diet and taking Candibactin-AR and Candibactin-BR for 4 weeks. I am still following The Whole 30. I had a negative SIBO breath test 4 weeks after stopping the herbal remedies. The dosage I took was slightly different than the Johns Hopkins study. I took 1 Candibactin-AR twice a day and 2 Candibactin-BR twice a day. Which herbal protocol is most recommended?